Hey, what’s your street name? 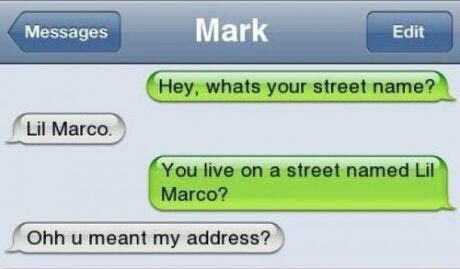 You live on a street named Lil Marco? Oh, you meant my address? Created about 6 yrs, 1 mth ago (March 3, 2013). Updated about 6 yrs, 1 mth ago (March 3, 2013).